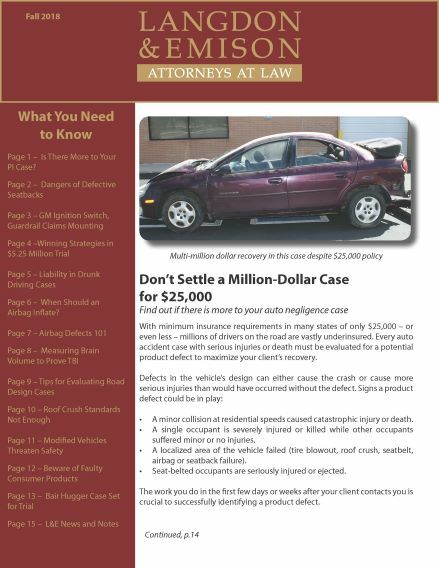 · Knowing when there’s more to your personal injury case. · Establishing liability in drunk driving cases. Additional topics include measuring brain volume to prove TBI; practical tips for evaluating road design cases; inadequate roof crush standards; and faulty products that threaten consumer safety. Contact us to become a regular subscriber to our print newsletter. Free copies are distributed via U.S. mail every three months. You can also subscribe to our e-newsletter, which is sent monthly.